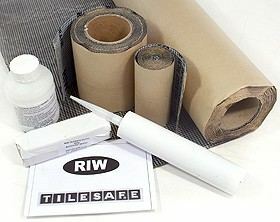 As it's name suggests, Tilesafe is a waterproof tanking system designed to prevent leaks and damp patches in or around your shower or wet room area. This 'cold applied' product is your insurance against the inevitable leaks that we all associate with shower and wet room installations. 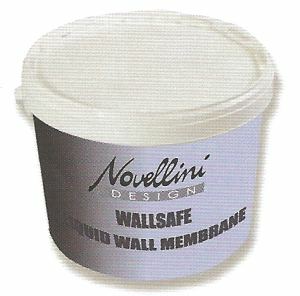 A new generation of tanking membrane for wet rooms and showers with an outstanding Lifetime watertight guarantee. 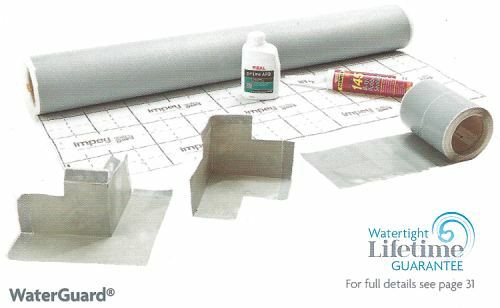 Supplied with pre-formed corner sections to make installation quicker and easier. Developed specifically for use with solid screed and concrete floors in wet room showers, Screedsafe forms an impermeable barrier to water preventing moisture from soaking into the floor causing dampness. Quick and easy to apply and carries a Lifetime manufacturer's guarantee. Fully compatible with Tilesafe or Screedsafe tanking membranes, you can rest assured that the waterproof integrity of your shower area is.... safe!